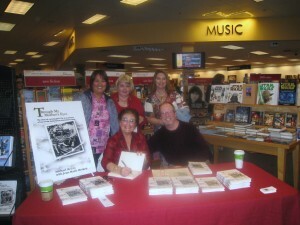 Michael and Jean-Marie attend their very first public book signing for “Through My Mother’s Eyes” at Borders bookstore in Santa Rosa, California, on Tuesday December 9th, 2008. 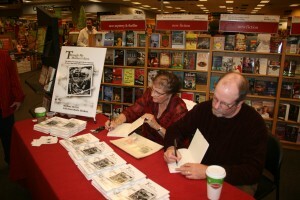 Jean-Marie and Michael signing books at Borders. This was a very successful event and was well attended…so much, in fact, that Borders asked Michael and Jean-Marie to return for more signings and speaking appearances in 2009! Michael and Jean-Marie with friends (left to right) Elvira Magsambol, Chris Foglesong, and Barbara Szmaciarz.